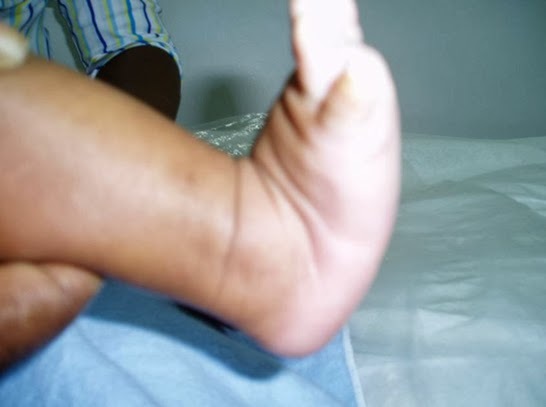 Adult Acquired Flatfoot (Posterior Tibial Tendon Dysfunction) is a painful, progressive deformity in adults. It results from a gradual stretch (attenuation) of the tibialis posterior tendon and the ligaments that support your foot?s arch. This stretching causes the tendon to lose strength and function. Many people have flat feet and do not experience pain. However, pain occurs with Adult Acquired Flatfoot because the tendons and ligaments have been torn. Once the vital ligaments and posterior tibial tendon are lost, there is no longer anything holding the arch of the foot in place.